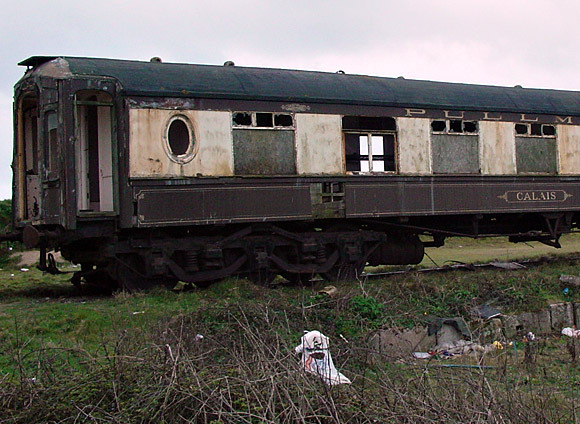 I spotted several old Pullman railway coaches in a state of ruin during a trip to Cornwall in 2003. 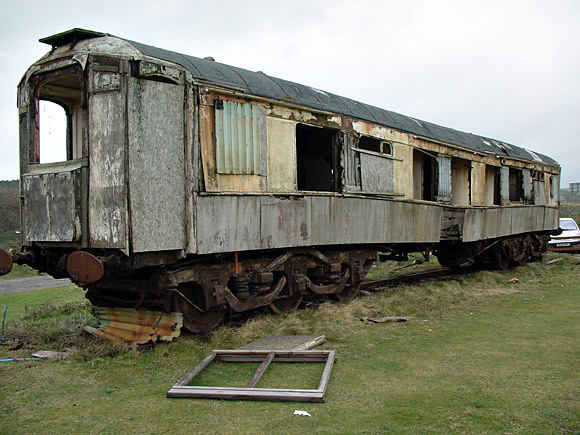 Once the byword for upmarket, luxury train travel, several of these once glorious carriages had been dumped at Marazion station in the 1960s and put to use as camping coaches. Years of criminal neglect had seen the fine varnished wood and exquisite paintwork of the carriages being stripped away in the sea air, leaving them in a terrible state. 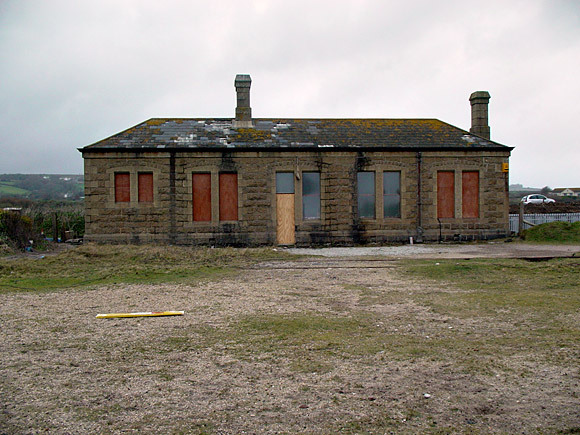 The coaches were on a strip of track next to the abandoned station at Marazion, which closed to passengers on 5th Oct 1964. 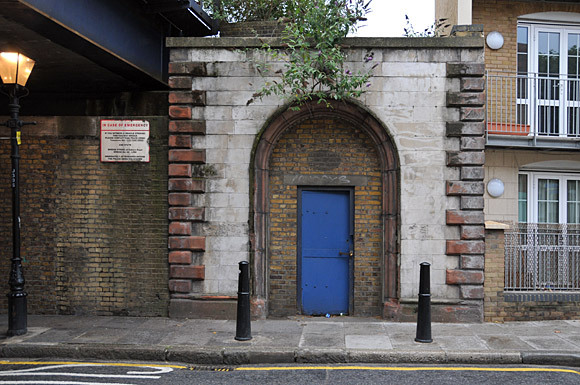 It’s now been converted to private housing. 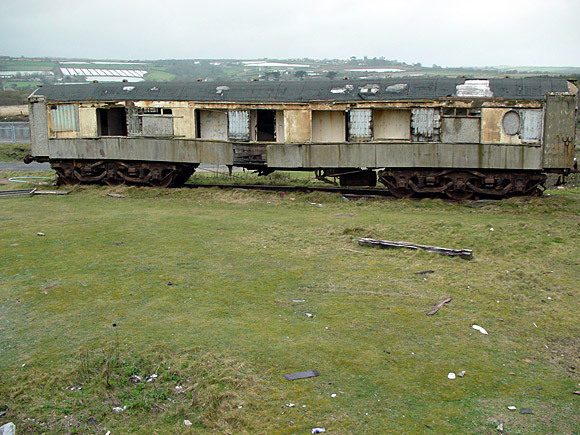 ‘Juno’, a 1923 brake parlour car looks forlorn, while just beyond it can be seen the shell of the burned out 1923 coach, ‘Aurora’. 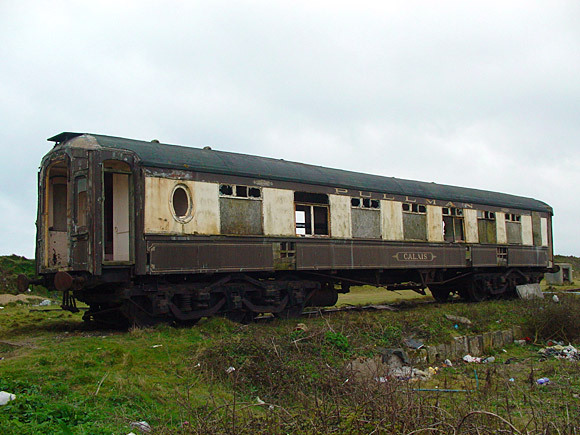 The sad remains of ‘Calais’, once a luxury 12 wheel parlour car, built in 1921. 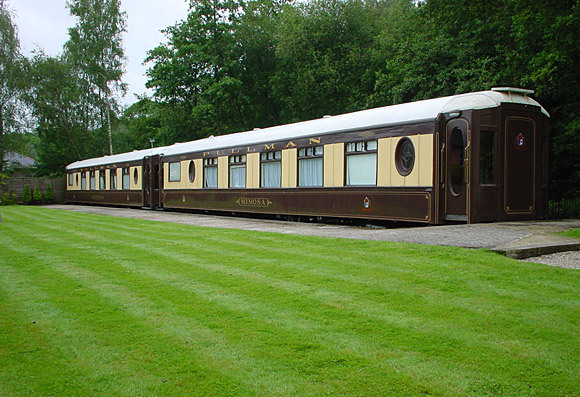 On a happier note, two of the coaches at Marazion were rescued in the late 1990s and have subsequently been fully restored to their former glory at Petworth railway station, where they now serve as luxury hotel rooms – we stayed there for a weekend a few years back. I have many childhood memories of staying in those camping coaches at Marazion during the late 70/80’s. 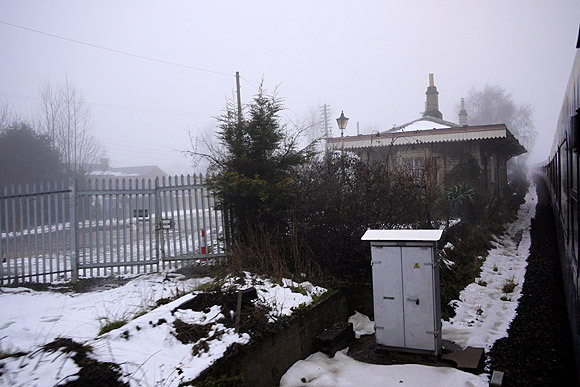 My dad worked on the railway so we used to stay in them. Brilliant times and such a great setting. My love for Cornwall has never ceased.. So sad to see them go. My grandad used to be a train driver and would change his shift in order to be able to do the Penzance run, he used to slow the train down as he got to marazion and throw sweets at us, wrapped in a oily rag. 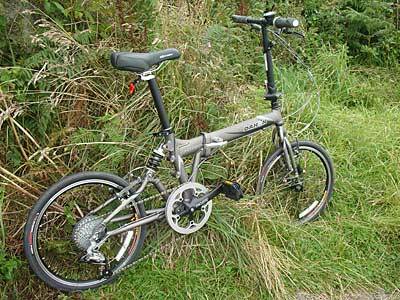 I remember mars bars tasting of diesel! 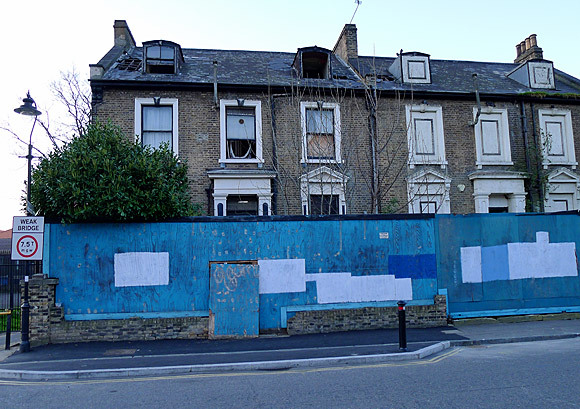 they contain high levels of blue asbestos. 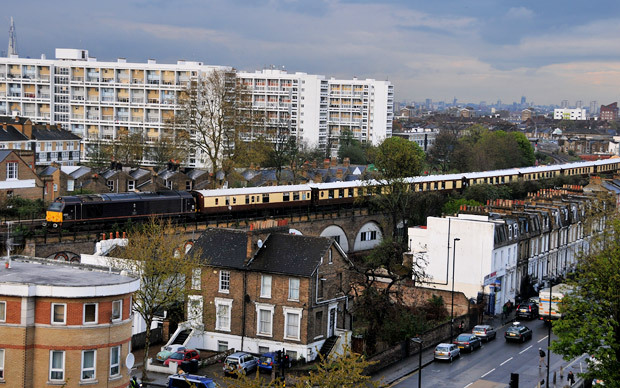 Are these carriages still there? 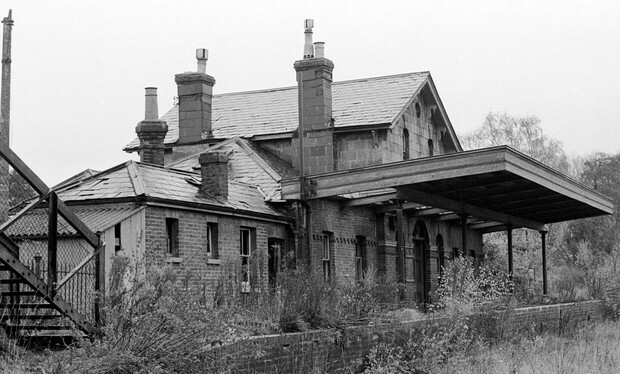 I am looking for a Pullman carriage and gally car for restoration. 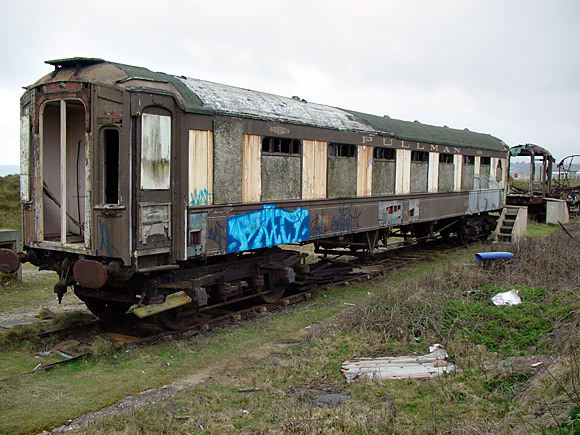 Just read about these in Roger Deakin’s excellent book “Waterlog” where he too laments the neglectful demise of these beautifully made carriages. Here in Australia many such carriages are restored and offered as accommodation, often in wine regions and the make for marvellous novelty holidays, especially for the kids – perhaps more nostalgic for us older folk!